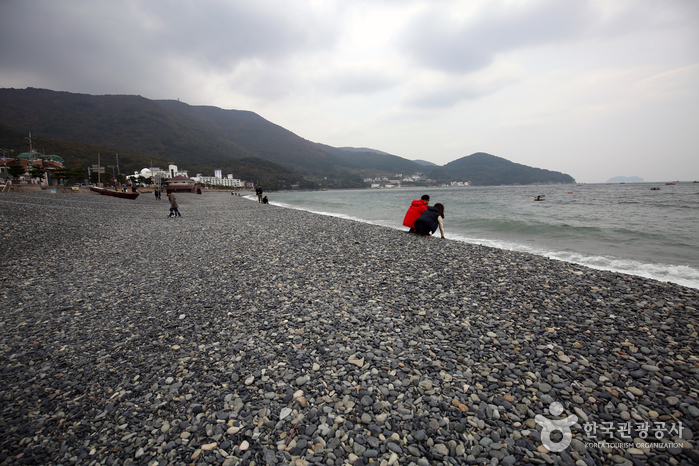 As one of the best sights in Geojedo Island, Geoje Haegeumgang River is called the Geumgang River (Sea Diamond) of the South Sea. 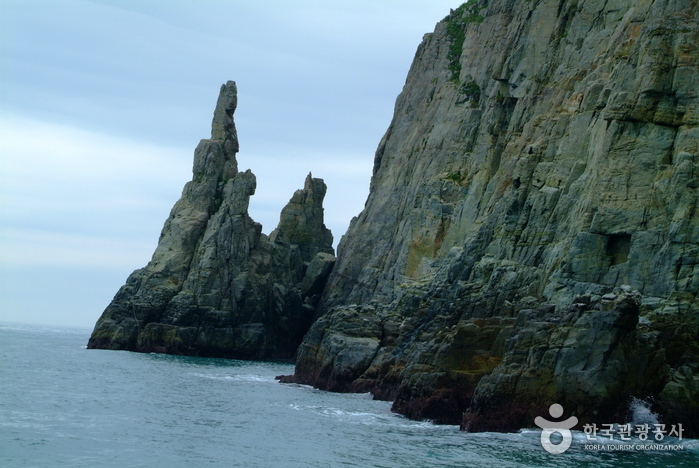 As a rock island, Haegeumgang River belongs to Hallyeo Marine National Park, which is assigned as an official green area in South Korea. 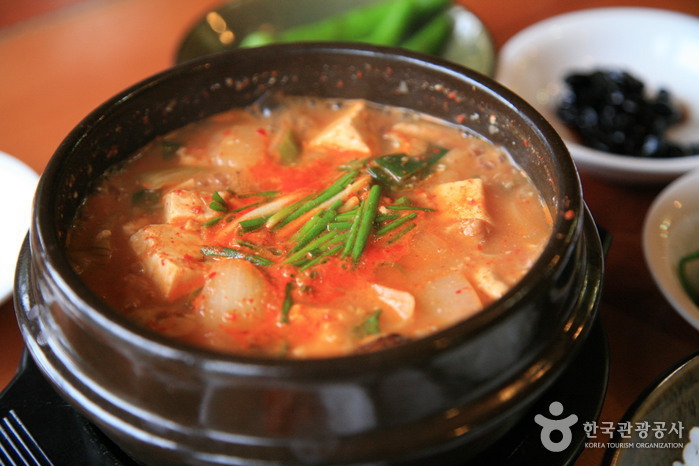 Its original name was Galgotdo, because it is shaped like the spreading roots of arrowroot. 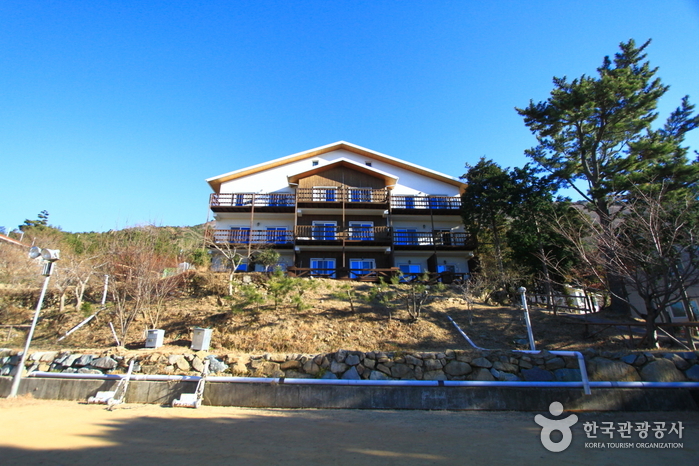 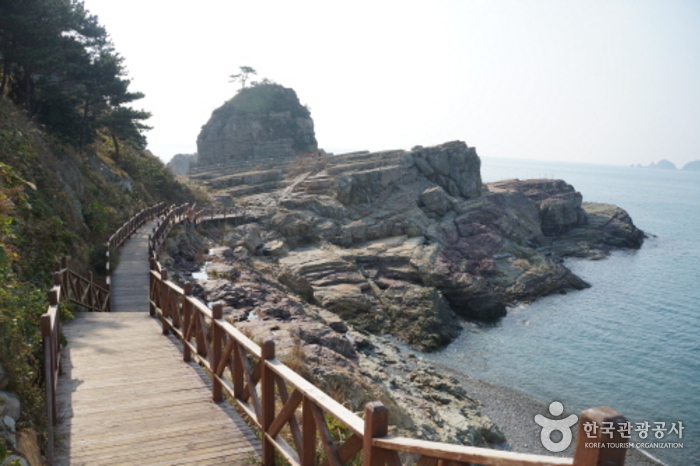 These days it is known as Haegeumgang River, meaning Geumgangsan Mountain in the sea. 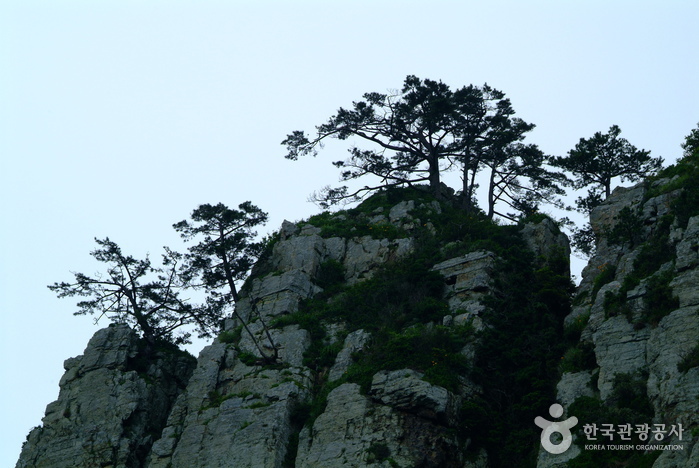 The most stunning scenery of Haegeumgang River is the sunset and sunrise and can be best viewed on Ilwollbong Peak or Lion Rock. 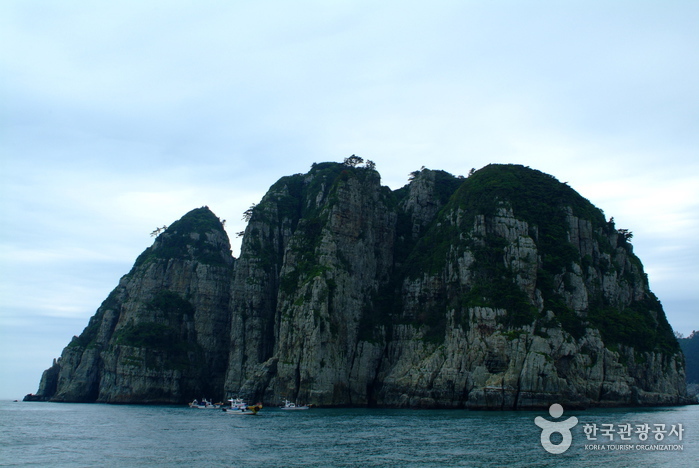 There is Shipjagul Cave in the center of Haegeumgang River, which is 100m long from east to west and 180m long from south to north. 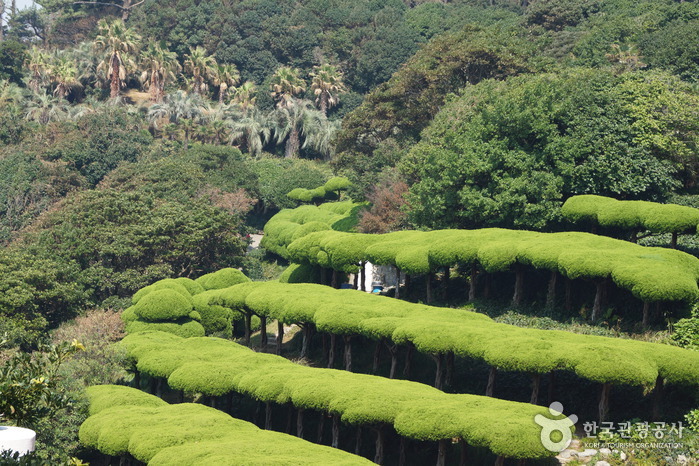 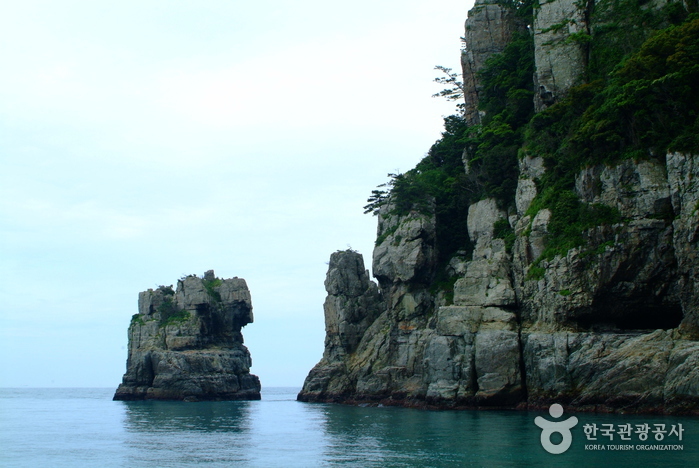 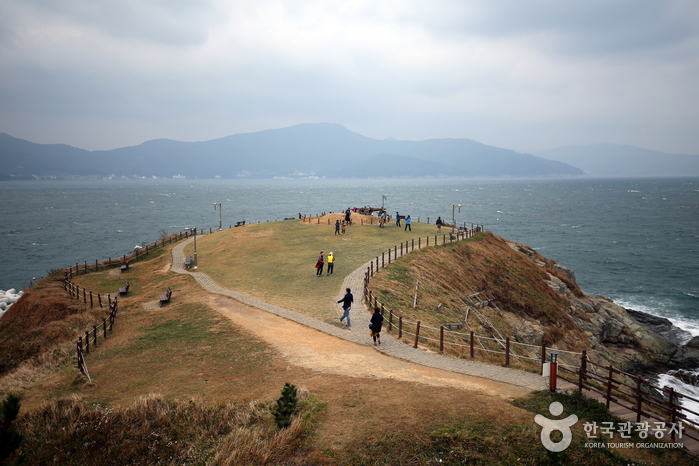 It has been called Shipjagul (meaning ‘cross’ in Korean) Cave because it looks like a cross when viewed from the sky. 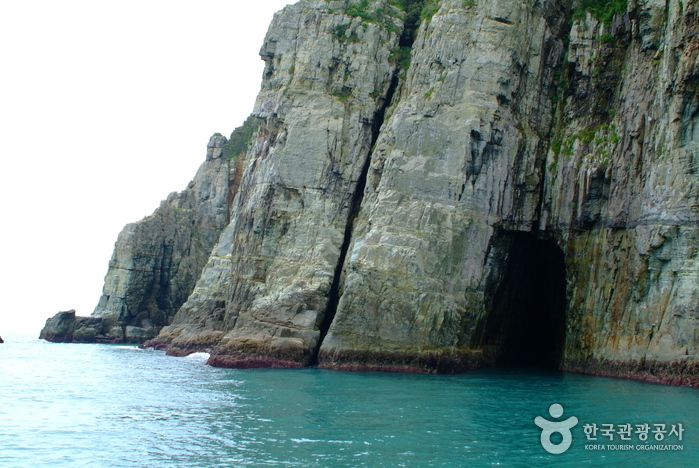 If you go on the tour, you will be fascinated by the height of the rock walls and the inside of the cave. 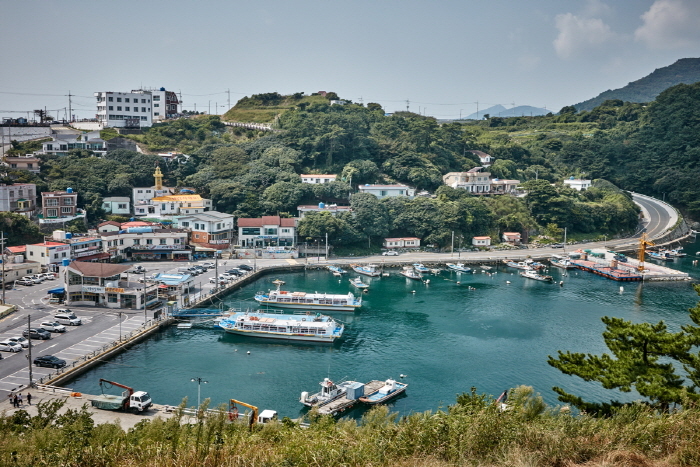 A long time ago, scholars expressed their yearning for the beauty of nature by writing and reading poems they wrote on sailboats with a bowl of makkoli (rice wine) in their hands. 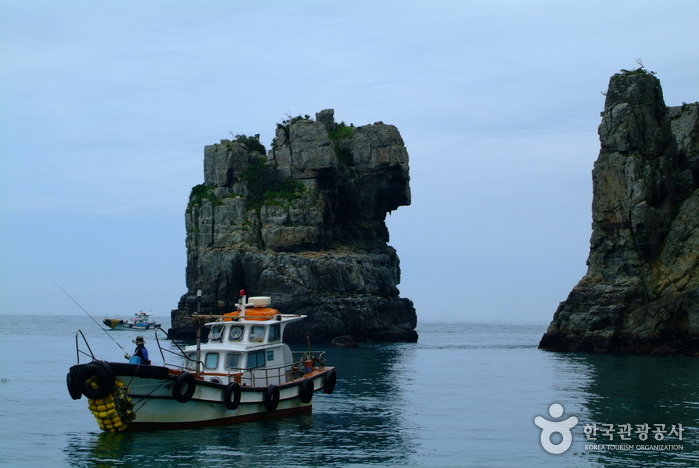 When you take a ship around the island, you’ll be fascinated once more because of the great works such as the Maitreya Rock, which reflects on Eunjin Maitreya, Candlestick Rock and the 1,300 year old guardian pine tree of Haegeumgang River. 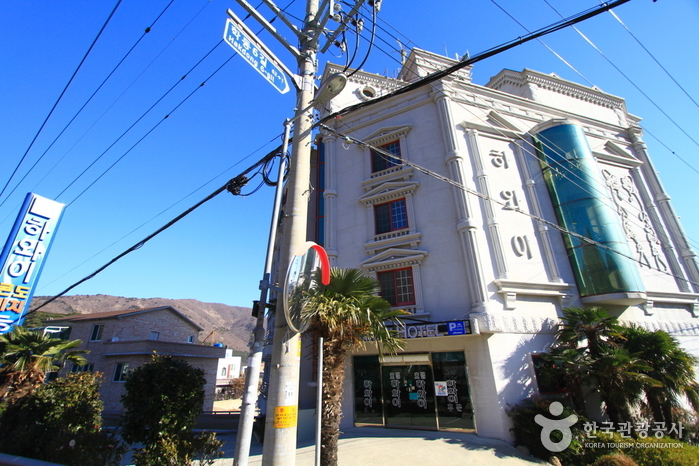 From Seoul Nambu Bus Terminal, take an intercity bus to Tongyeong. 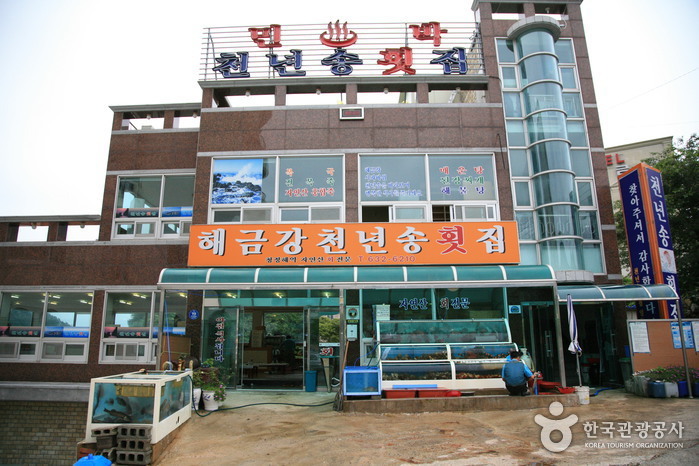 From Tongyeong Intercity bus Terminal, take a bus to Haegeumgang.